I currently have about 40 students; ages span 4 to 18 of age. 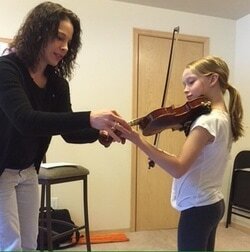 Students range in ability from beginners to major concerto study. 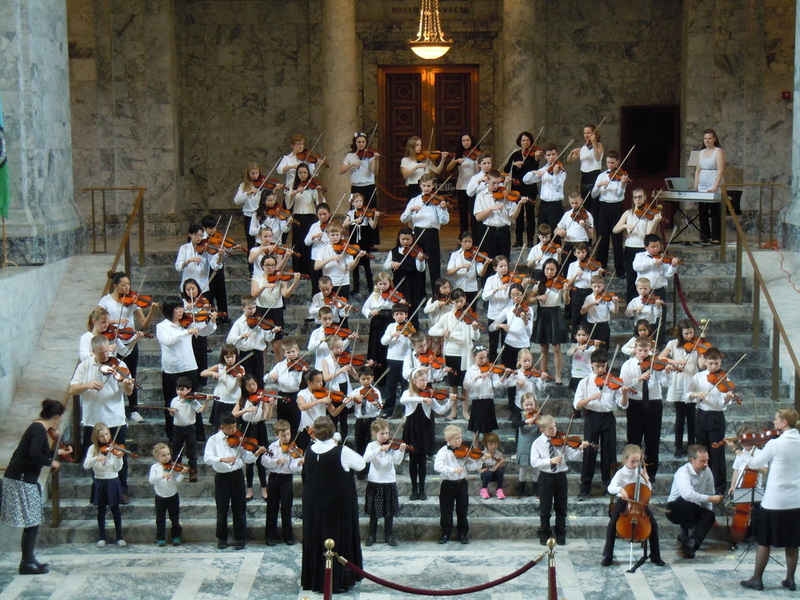 Many participate in the Tacoma Youth Symphony Orchestra, SOGO and have won awards for outstanding performances with the Washington Music Educators Assocation. I hold regular Suzuki Group Classes during the school year and Master Classes for advanced students. We have been honored to welcome Dr. Svend Ronning from PLU, Seattle Symphony Concertmaster Simon James, LA Philharmonic Concertmaster Nathan Cole,Janice Upshall, Solo artist Kristin Lee, Mary Manning and Jan Coleman as guest Master Class teachers. Katrin St. Clair-: Suzuki Units 1a,1B, 2, 3,4, 6, 7, 8,9/10 and SPA course. BM with honors, University of Cincinnati College-Conservatory of Music. Began music studies at age 5 kinder music classes at the St. Louis Conservatory and School for the Arts. The classes incorporated dance, singing, and playing rhythmic instruments. 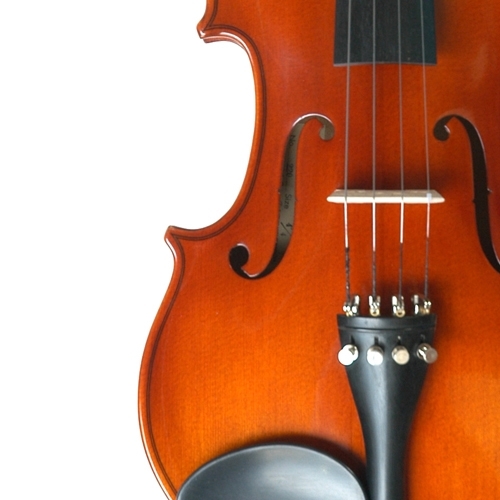 At age 6, Katrin began to study Suzuki violin at the St. Louis Conservatory. Around age 9, she was enrolled in Youth Training Orchestra at the school. The Steven's Point Wisconsin Suzuki Institute was a favorite summertime activity. 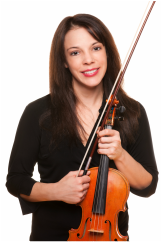 At age 14, Ms. St.Clair joined the St. Louis Symphony Youth Orchestra and began pre-college lessons with a principal violinist in the St. Louis Symphony Orchestra. In 1989, she was the winner of the Youth Orchestra concerto competition and performed with the orchestra. During the summers of high school, she attended Boston University Tanglewood Institute, the Indiana University String Academy, and the Aspen Music Festival. After high school, she attended the University of Cincinnati, College Conservatory of Music where she studied with Dorothy DeLay, Naoko Tanaka and Won Bin Yim . Katrin graduated with honors from CCM with a Bachelor of Music Performance. Currently coaching with Los Angeles Philharmonic Concertmaster Nathan Cole. Post-graduate work continued in St. Louis where she studied Suzuki pedagogy with John Kendall (one of the first people to bring Suzuki education to the U.S.) and also attended pedagogy courses at the Julliard School in New York City. Katrin St.Clair is a registered teacher with the Suzuiki Association of America and continues to add to her education yearly at Summer Institutes-particularly enjoying studying with Stevie Sandven, Cathy Lee, Nancky Lokken,Alan Lieb and Yuko Honda. Jan Coleman has also had influence on her teaching. Ms. St.Clair's students have been consistent recipients of WMEA Superior scores, winners of WMEA regionals, and winners of the Tacoma Youth Symphony Competition.Students have also been accepted into the prestigious Meadowmount Festival , Coleman/James Studio, Indiana University Summer Academy, Oberlin Conservatory, and University of Michigan.